These are the Beginning Times as you are ushering in an era of Peace, Abundance and Prosperity never known on this Sacred Orb. It is I, St. Germain. I am that voice that has spoken to you and guided you since you were a wee, small child. It is I, along with Archangel Michael, who have guided and protected you through the perils of your life that you might reach this Day of Graduation. Your journey has been arduous and there were times when your life hung in the balance. Joyously, you have completed the groundwork for the great Mission that you accepted before coming into physicality. You are now set to matriculate and to begin this great work of ending hunger and degenerative disease on this sacred planet that we call Terra or Gaia. You have been led to be part of a community of great Warriors of the Light. Indeed, they were led to bring together a great global assembly of Divinely Inspired Beings who are Gladiators of Truth and Warriors of the Light, for make no mistake, you have all been involved in a Battle for the Hearts, Minds and Souls of your Brethren. We have given you, Dear One, the great honor to deliver this message to your fellow spiritual Warriors at this most auspicious moment in time. All of you who read this message have suffered greatly in bringing forth the beauty of this day. We have heard your pleas, crying out in pain over the losses you have endured. When you accepted this great undertaking, you, as a Divine Being, agreed to forfeit the memory of whom you are as part of a Great Experiment and to accelerate your Souls growth by finding the goodness inherent within you and returning to the Light. Many of you have thought that you lost everything, gave up everything and some have even wondered, “Why me?” Did it ever occur to you that these losses were necessary to prepare you for the enormous wealth that many of you will control? We have heard many of you reflect on the fact that so many in this Global “Dinar” community find themselves in such dire circumstances, even those who had enjoyed great wealth. Each of you agreed on a Soul Level to experience these losses so that you would never take for granted the bounteous blessings that are about to be manifested. 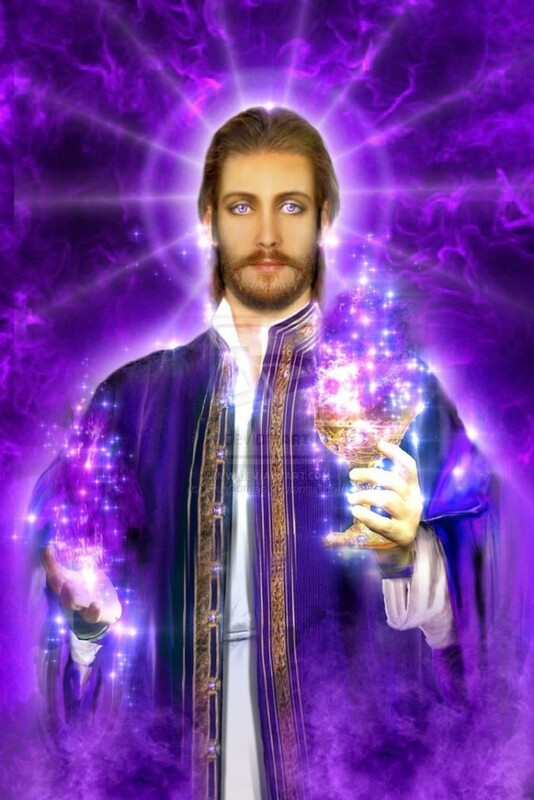 When Sananda or the one that you know as Yeshua ben Joseph or Jesus the Christ, walked this Earth, he was a very learned Rabbi. He was indeed a Sacrificial Lamb and started the process that is finally culminating at this time. You might say that he was the First Martyr. The only time that He lost his temper was when He was in the Temple of Solomon and he overturned the tables of the Money Changers. I hope that it is not lost on you that we are now recapitulating that time and invoking his mighty wrath against those who have enslaved you by the use of lies, trickery and chicanery. Their time is over. They will no longer be permitted to harm you or to harm our beautiful Gaia. Christ did not come to start a church or to be worshipped. He came to end the tyranny of the Mosaic Laws and to replace those laws with a New and Everlasting Covenant. This Covenant is simple in its purity: Thou shall Love the Lord thy God with all thy heart, and with all thy soul, and with all thy might. And the second Covenant is like unto it: Thou shall Love thy neighbor as thyself. He did not hold himself out to be better than his Disciples. When asked about his Miracles, he very humbly said, “These things that I do, you shall do also and even greater things than these shall you do!” He sought not to divide you, but to bring you together as One Family of Man. Because you have become Great Beings of Love and Compassion, you emanate a Light that is so Bright that it is overpowering the Darkness that had nearly choked the life from each and every Being on this planet. This is why so many of your brothers and sisters throughout the Cosmos are watching this Great Spectacle with breathless anticipation. To them, you are truly Heroic Beings who have stood in your Truth and demonstrated Courage beyond the call. Dear Ones, many have said that these are the “end times”. This is not so! These are the Beginning Times as you are ushering in an era of Peace, Abundance and Prosperity never known on this Sacred Orb. There are so many Heroic Beings who have made great sacrifices to bring you this knowledge. They walk among you and have worked tirelessly to give you Hope and Courage to persevere in spite of all adversity. Do you really think, Dear Nana, that it is by accident you have been brought to know some of these Great Ones? There are no coincidences. They are instrumental in your ability to fulfill your Mission. Our Beloved Sheldan has been laying the groundwork that all may understand what Heaven has been trying to accomplish for these many years. It has been part of your journey to have been guided to know some of these great humanitarian Souls such as the one known as Zap or Jerzy. He has suffered greatly for our Humanity. He, like too many others, has suffered assaults on his character, given over his wealth and even his family, so that Beloved Gaia can once again be restored to her Celestial Glory. These sacrifices go back to the Founding Fathers of your great Republic and to the many martyrs who stood in their Truth for your benefit. These include many of your Presidents such as the ones known as Jack Kennedy, Abraham Lincoln and William McKinley. There are many more unsung heroes who have dared to stand up to the evil forces who have enslaved you for thousands of years. These Great Ones are joyously applauding you and urging you on as you approach the Grand Finale, the Great Victory that is now upon you. We say to all of you, Bravo! We applaud you! This is now your time to shine your Light! One among you known as Yusuf has rightly stated that you are not the new 1% but truly you are the 100%. There is great Wisdom and Truth in these words. You have heard that you are One and this is so. But make no mistake, you are not of a hive mentality or spirituality. Dear Jerzy was inspired last week to state this Truth with Love and Wisdom-You are Individuated Divinity, filled with Love, Compassion and Forgiveness. This is your Essence, IT IS WHO YOU ARE! Believe it for it is so.